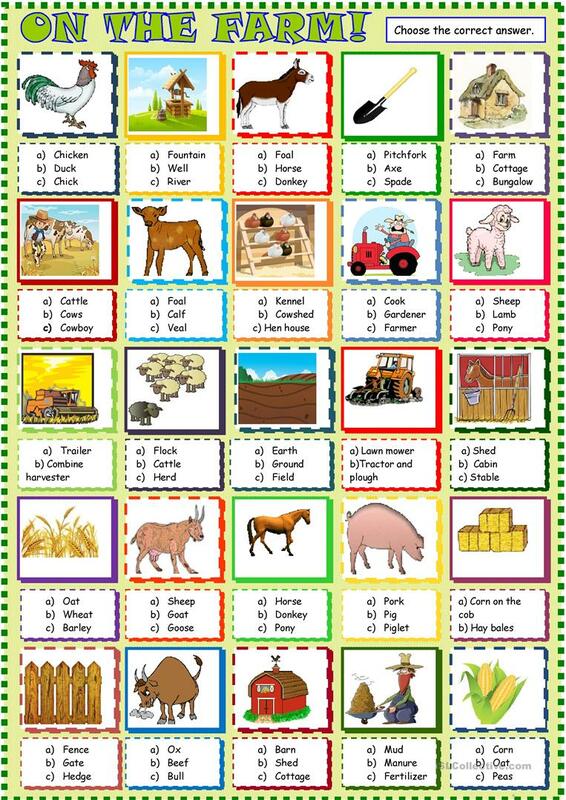 living in Normandy with lots of pupils who want to become farmers, I made this series on farms, then a multiple choice activity with cow, tractor , harvester , barn, sheep, cattle.. The above downloadable teaching material is best suited for high school students, elementary school students and students with special educational needs, learning difficulties, e.g. dyslexia at Elementary (A1) and Pre-intermediate (A2) level. It is useful for improving your pupils' Spelling, Speaking and Reading skills. It is focused on the theme of Environment.